‘Murthy referred to it at the event, process tech use will be ‘fluid’ based on segment’. If one read too much into this, we may start seeing a blend of process nodes for different segments at the same time for different areas of the market. We already do have that to some extent with the mainstream CPUs and the HEDT/Xeon families, but this phrasing seems that we might get another split between consumer products or consumer and enterprise. We may get to a point where Intel's 'Gen' naming scheme for its CPUs covers two or more process node variants. We can either talk about process node in terms of the ‘number’, either 14nm/10nm/7nm, or by variants within that process (high power, high efficiency). 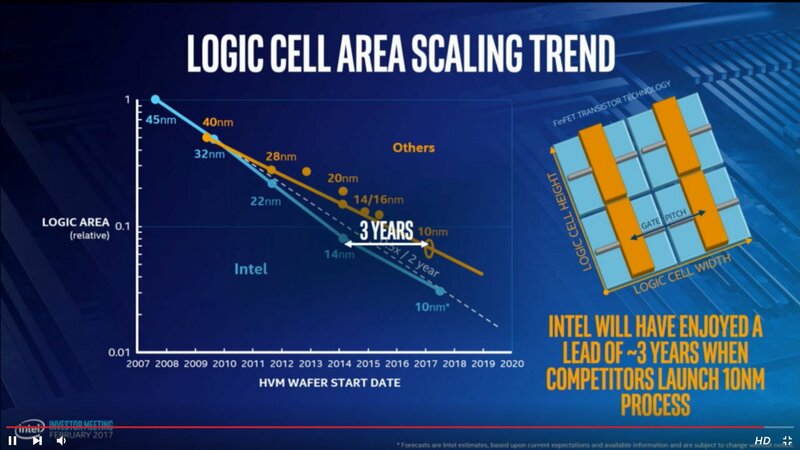 One might suspect that this means Intel is moving hard and fast with 10nm for Xeons and big computing projects, despite showing off 10nm silicon at CES earlier this year. 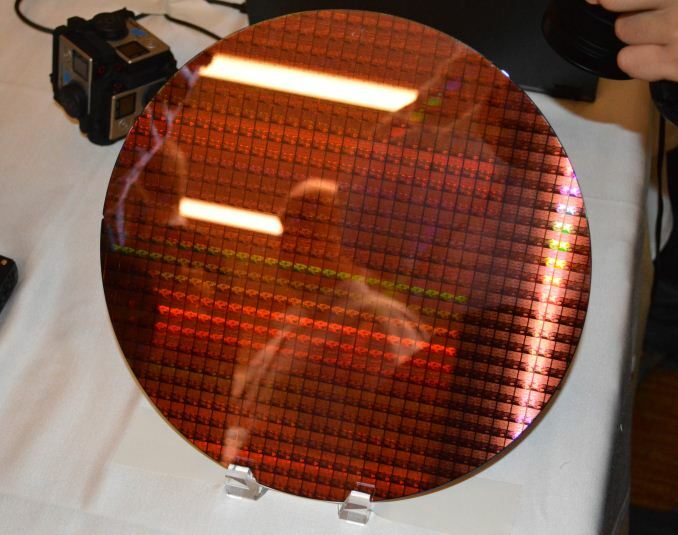 That being said, it’s important to remember that the data center market is large, and includes high-density systems with many cores, such as Atom cores, and Intel did recently open up its 10nm foundry business to ARM Artisan IP projects. So while the slide does say ‘Data center first’, it might be referring to DC projects based on ARM IP in that segment rather than big 4-24+ core Xeons. At this stage of the game it is hard to tell. I’ve been brief with this news for a reason - at this point there are a lot of balls in the air with many different ways to take this information, and the Investor Day is winding down on talks and finishing with smaller 1-on-1 meetings. We may get further clarification on this news as the day goes on. Update 1: On speaking with Diane Bryant, the 'data center gets new nodes first' is going to be achieved by using multiple small dies on a single package. 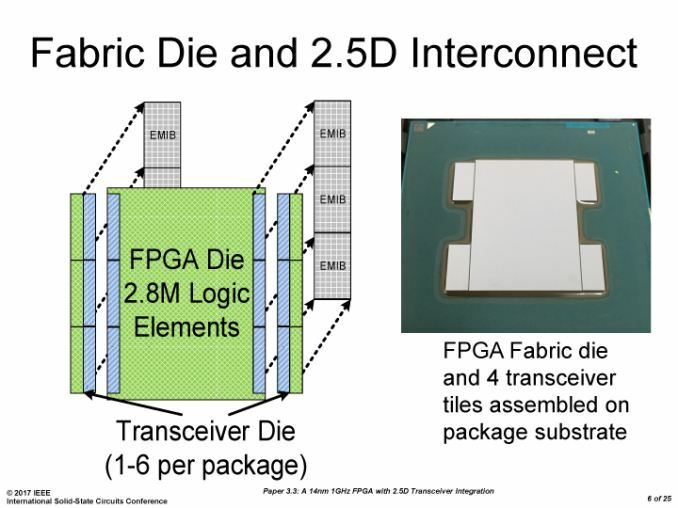 But rather than use a multi-chip package as in previous multi-core products, Intel will be using EMIB as demonstrated at ISSCC: an MCP/2.5D interposer-like design with an Embedded Multi-Die Interconnect Bridge (EMIB). Initially EMIB was thought of as a technology relating to Intel's acquisition of Altera and potential future embedded FPGA designs, and given the slide above and comments made at the Investor Day, it seems there are other plans for this technology too. The benefit of using multiple smaller dies over a large monolithic 600mm2 die is typically related to cost and yield, however the EMIB technology also has to be up to par and there may be a latency or compatibility trade-off. "Data centers first to new nodes". You are wrong. 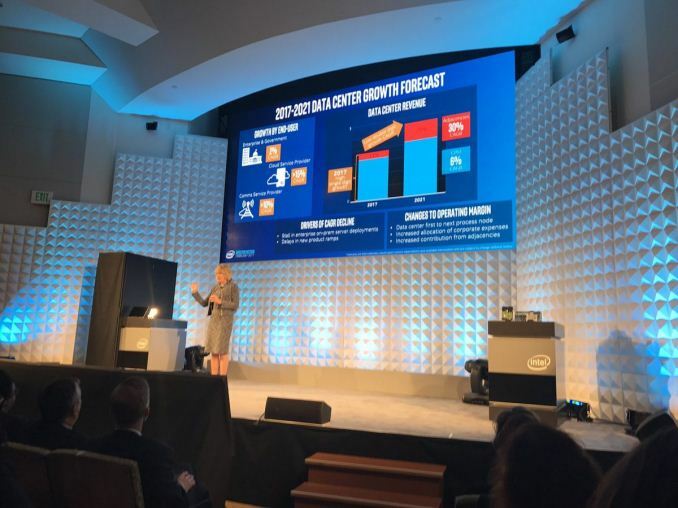 Intel will go mobile (CORE M and 15W line) and datacenter first with 10nm. LIke have done on 14nm. Nothing is changed. This time Intel refuse to delay datacenter SKUs and adopt the multidie approach to stay ahead the competition in spite the impossibility to manufacture large die SKUs at the beginning of the new node ramp. EMIB was patented for this in 2014. This is true but witeken is saying that they're doing the opposite of mobile-first competition. Intel is definitely shifting priorities, but they are still going to put a lot of effort towards mobile. So if mobile is their number two priority, I'd hardly say that's the "opposite" of Sammy et al. To me this looks like a desperate action, not a careful plan. It suggests that they expect 10nm yields to be so bad for a while that they simply will not be able to ship mobile volumes, even if they repeat the pathetic multi-quarter extended rollout of Broadwell, one SKU at a time. Even assuming EMIB works wonderfully and delivers something like what it claims, client delivers twice the revenue of data center, and there's much more value to a better performing chip (faster single-threaded, and lower power) in mobile than in data center (ie more people will pay more for it).